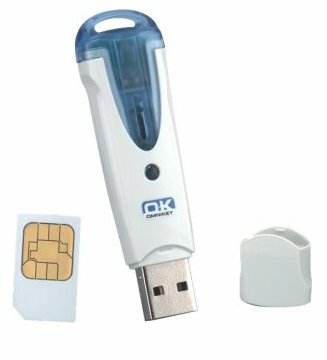 The 6121 USB SIM reader from Omnikey (previously the CardMan CM6121) is a high speed USB 2.0 device encapsulated in a trendy gray and transparent blue case. This reader is fully PC/SC and EMV Level 1 compliant and supports all ISO 7816 microprocessor-based smartcards as well as numerous popular memory cards. 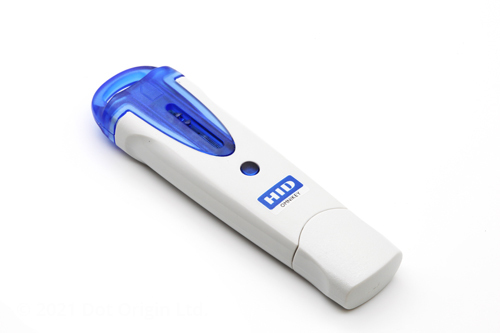 It also meets USB CCID specifications for simple driver installation. The reader comes complete with WHQL approved Windows drivers, as well as support for other operating systems such as Linux, and is ideal for various logon and security applications on desktop PCs or laptops, as well as GSM SIM management. The CardMan 6121 is one of Omnikey's leading SIM-sized card readers and boasts both great performance and excellent quality. The pocket-sized reader comes with a protective cap for the USB connector and a handy loop on the opposite end giving the user the option of attaching a neck ribbon. When in use, the card is fully inserted within the reader, with an easy eject feature for removal.